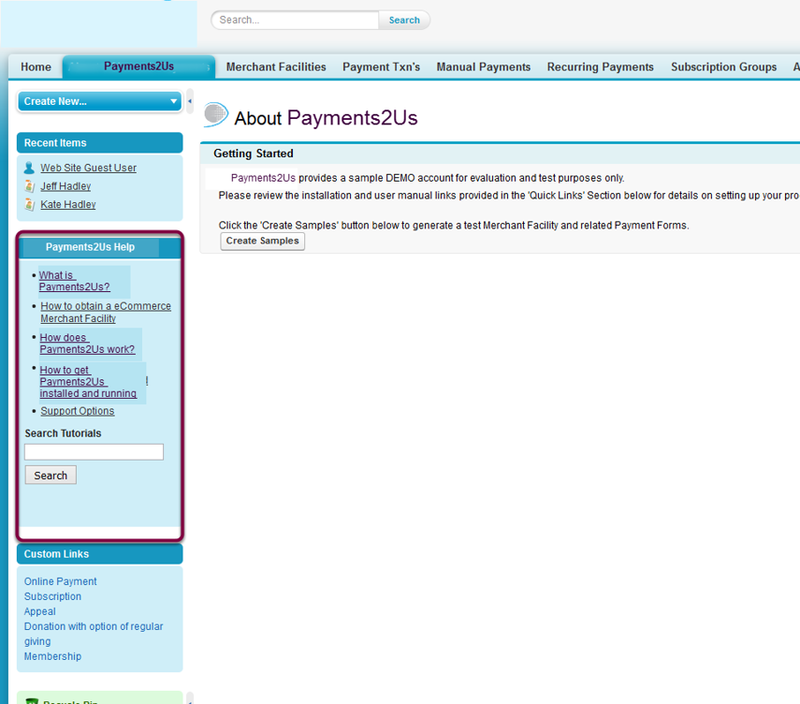 In addition, you can enable the Payments2Us sidebar help. 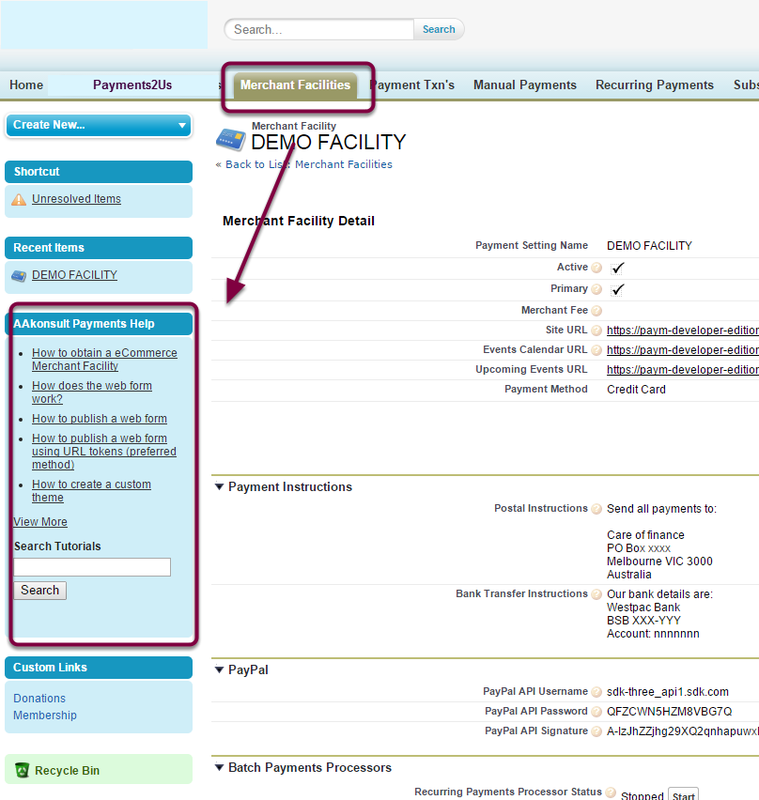 This will enable you to search the online manuals from within Salesforce and will show selected article links that are relevant to the tab you are on. 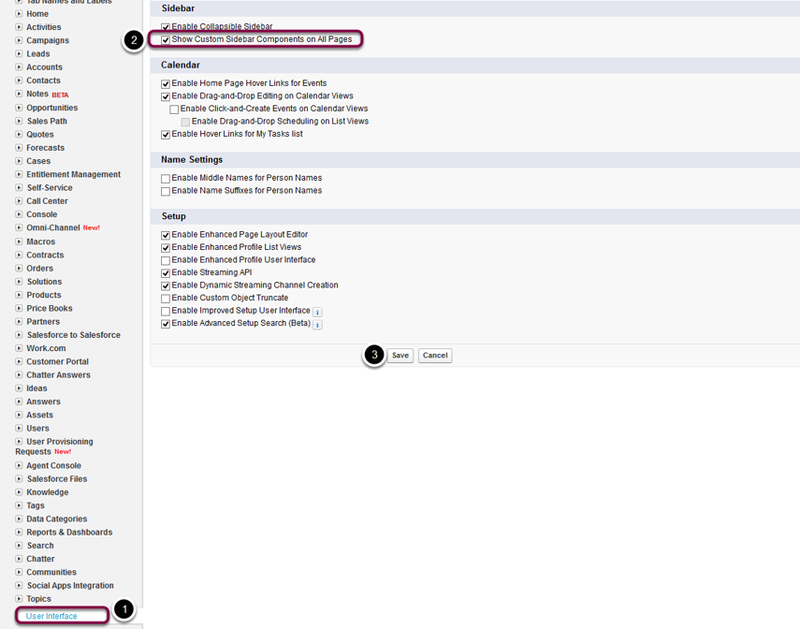 Once enabled, the sidebar will show related help article links, plus will enable you to search all online articles. 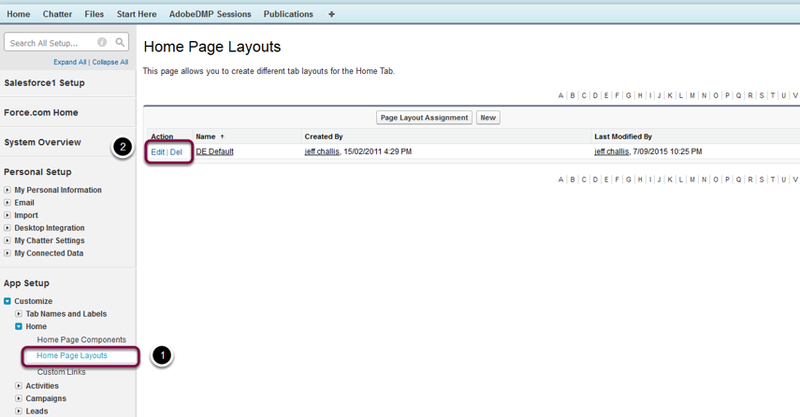 Click Edit next to the currently active home page layout. If you have more than one, then you may need to repeat the next step for all pages.